In Part 2 we go deeper into PC laptops for music production and put a few choice models to the test. The most sure fire way of removing the headache from selecting a laptop is to pop along to someone who knows what they are doing. If you pick up a laptop from a specialist Audio PC builder then you can feel assured that the DPC latency will be under control (see Part 1), and it would have been tested with numerous audio interfaces. However, regardless of the marketing materials, no laptop is going to be “designed for audio”. With desktop computers Audio PC specialists can carefully choose and combine components to produce a system that will work well for music production. With laptops this isn’t possible. Unless you order direct from the Far East in large container loads then you are not going to get any say over what goes inside a laptop. Audio PC builders have to rebrand and sell someone else’s laptop. http://www.pc-music.com/sites/default/files/laptop_logo2.jpgSome name brand manufactures release what’s known as a “whitebox” version of one or more of their range of laptops. This is essentially an unbranded, vanilla laptop chassis without CPU, RAM or hard drive installed. The specialist would then add the missing components to order, rebrand and sell it as their own product. In the UK at least whitebox laptops are increasingly rare. Asus, MSI and Intel have all had a go in the past but the general feeling is that the money to be made supplying specialist builders isn’t really worth it. That leaves a company called Clevo. Clevo specialise in whitebox laptops, they do nothing else and don’t tend to sell them under their own brand – so they're not competing with their own customers like the name brands do. They supply laptop shells to all the little companies and shops that wish to brand and their “own” laptop – been doing it for years. There’s nothing wrong in any of this. For people wanting a properly tested and supported laptop for audio then this is the best route. The only downside is that the choice is very restrictive. The chances are that wherever you go the specialists will be selling the same laptop. The laptop won’t have any features specific to music making, it will probably be designed for gaming as much as anything and the best the Audio PC company can do is tweak it and support it for audio use - which is a great thing in itself. The value in having a laptop properly set-up and supported to do the job should not be underestimated. It's one of the downsides of buying from Apple - you're not going to get that specialised music production support in the event of trouble. As an Audio PC builder whitebox laptops can be quite frustrating because you don’t have any control over the internal technology. When a new version arrives there’s no guarantee that you’ll be able to get it work for music production and you are off again trying to find a new solution. This has been particular difficult with the latest laptop technology from Intel. The mobile Core i3, i5 and i7 CPU’s seem to have brought with them a bumper set of features and components that all get stuffed into the laptop making it really difficult to minimise the DPC latency impact and maximise the firewire bandwidth. So, instead of restricting ourselves to only whitebox laptops let's take a look at some name brand manufacturers that just might do the job. These aren’t cheap and cheerful, they’re high spec, professional laptops comparable (arguably) to the MacBook Pro – that’s the idea anyway. It was interesting how out of the box they all had various problems and barriers to working well for music production. I’m pretty experienced with these things and so I knew how to approach the issues but I often wonder how non-technical people get past this point – or even if they do. Let’s look at them one at a time and then compare some test results. http://www.pc-music.com/sites/default/files/laptop_asus.jpgThe Asus was the most mainstream contender. It was kind of funky, Quad core, great price, seemed to have room for two internal drives and was their top multimedia solution. We’ve used an Asus shell a couple of years ago which was excellent so I was keen to try their latest offering. It was initally a bit disappointing. The chassis was very plastic, the screen housing pretty flimsy and the hard drive too slow to run my performance test projects. The DPC latency was all over the place and even after everything was updated it was not fully stable and occasionally peaked into yellow and red – however, it didn’t seem to cause any drop outs or glitching during performance testing. The biggest flaw was that there was no way to turn off the Enhanced Intel Speedstep Technology (EIST) which is a clever bit of technology that steps the processor speed up and down depending on the load. Sounds like it could be useful but with audio software the result is that the CPU meter bounces around all over the place and often shoots into the red and causes a glitch way before it you’ve maxed it out. This can only be disabled or adjusted at BIOS level and there were no entries available. Things were not looking good for the Asus. http://www.pc-music.com/sites/default/files/laptop_lifebook.jpgOn paper this was the one I’d pinned my hopes on. The spec and features of the Lifebook (not to mention the slight naming synergy) was perfect. You had options for a second hard drive, you had PCMCIA and ExpressCard slots and there was a good range of specs available at decent pricing. I’d also worked with Fujitsu before on a different project and knew that they were an enthusiastic and helpful bunch. The build quality was excellent, the coloring a bit odd with its smart matt black and silver coupled with a cream keyboard but it certainly wasn’t ugly – very business-like, firm and good to handle. Any initial DPC trouble was soon sorted out with updates except for this thing I’d never come across before called Intel AMT. It’s basically a management tool to allow IT administrators to access and fix the computer remotely – very handy in big companies, useless for me and it was producing terrible latency spikes. Once uninstalled everything was going swimmingly until I plugged in a Firewire audio interface – blue screen, oh dear. I tried different firewire cards of different types in different slots, I tried different interfaces, messed about in the BIOS, disabled everything I could find to disable in Windows and nothing had any effect. After a day of struggling I was onto yet another reinstall of Windows and this time installed no drivers whatsoever – it worked! Going through each driver in turn I was able to nail it down to the graphics driver. With the graphics driver installed it would blue screen when installing a firewire audio interface. With the graphics driver uninstalled it would work perfectly, albeit at a rubbish resolution. No amount of communication or enthusiasm from Fujitsu was able to fix it or actually get them to understand the problem. Shame. This was the big brother of the E780, essentially the Quad Core version (although the one under test was dual core) which would nicely complete the range from a good value Dual core (E780) to a high-end Quad core (H700). It also had a different graphics engine so I held out some hope that this would be different – but no, it’s the same. Blue screen once the audio interface was installed, but runs perfectly with the graphics drivers removed. Bother! http://www.pc-music.com/sites/default/files/laptop_t510.jpgI was wary of the Thinkpad. Formally by IBM it’s quite an iconic brand and I was worried whether the Thinkpad brand was too strong to try to partner with. However, any doubts were quickly overwhelmed when it arrived and I discovered how bloody marvellous this machine was. The build quality is fabulous – steal hinges, a non-bendy screen, a matt black surface that had a kind of rubbery quality to it. It wasn’t flashy, similar to the Fujitsu in its no nonsense approach to design – Mac users would disapprove. Great features – option for second hard drive, keyboard light, good connectivity, but it was its physicality that really impressed me. It was a high-end, premium product certainly but actually the pricing wasn’t as bad as I thought and it would be cheaper and more powerful than our last Livebook. DPC latency was pretty good from the get go and a couple of updates smoothed things out nicely. Plugged in a firewire audio interface – instant, terrible audio glitching – bother! My heart sank as I thought this might be a similar problem to the Fujitsu – maybe there’s just too much built into this machine and the new Intel technology has compromised the PCIe bandwidth to compensate. Found a BIOS update, ran it, all is well – phew! Crisis averted. From the initial set-up and testing it’s not difficult to see an obvious winner emerging but it all has to rest on the laptops ability to run multichannel audio, plug-ins and software instruments. That’s where my performance tests came into play. Three Firewire interfaces are used – Edirol FA66, Focusrite Saffire Pro 24 & Presonus Firestudio. All three are plugged in via a Firewire PC Card with TI Chipset. Latest drivers used. Output buffer set as near to 10ms as possible without going under. We have three tests, one is concerned with effects load, the other two with VST Instrument load and polyphony. In every case the “measurement” is the break point in audio playback – the point at which the audio starts to crackle. The test is then brought back to the first point of stable playback and the number of effects running, or polyphony is noted. No performance meters are used as they do not accurately reflect whether stable playback is achieved. Using a 32 track audio project in 24bit 96kHz effects are added across each track until breaking point. The type of effect varies in order to take into account the variation in load and performance of different effects. Spector is a virtual synth within Cubase. An instance is loaded and set to “Ana Strings” and then 8 notes are played through it in sequence, each one being held so that after the first bar you have 8 notes playing. Further instances are loaded and a new MIDI track created for each instance set to play the same 8 notes. When the breaking point is achieved the last instance of Spector is opened and the allowed polyphony of that synth reduced from 8 down to whatever brings in stable playback. Same test as Spector but this time using sample playback which stresses the system in a different way. Because of the multi-layered nature of the samples one note may be playing several notes of polyphony and so when the 8 notes are held it must be noted what the actual number of voices are being played – this is shown on the Halion GUI. You cannot specify the polyphony on the instrument so instead when breaking point is achieved notes are removed from the last playing MIDI track until stable playback is achieved. Individual instruments vary from 8 to 32 voices. It’s always dangerous publishing “results” as people tend to hold them against you. All I can say is that this is what I found when I did the tests. On another day, under different circumstances who knows, but to the best of my ability I checked and rechecked, compared, retested and this is what I got. Newer drivers and updates may radically change the performance of either the laptops or the interfaces over time. The first point to note is that I could not get the test projects to work successfully with the Presonus Firestudio on anything other than the Thinkpad T510. Its playback would stutter and glitch. Playing other demo projects at 44.1kHz (as opposed to the 96kHz of the test projects) and it worked fine. 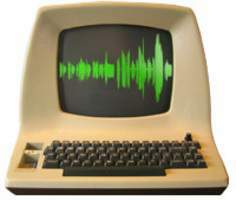 It could be that I had a dodgy Firestudio, it could be that the bandwidth required to run 96kHz audio through a 24in/out interface was too much for the laptops to handle, or it could be that the drivers need some work – difficult to say. Secondly, so that the Fujitsu’s weren’t a complete waste of time I ran the tests with the graphics drivers uninstalled in order to show what they could be capable of if they get the drivers sorted. Thirdly I've included the results from a previous Livebook model (T9600 2.8GHz CPU, 4GB RAM) that was tested with the Edirol FA66 as a comparison and point of reference. The Lenovo T510 gave the best overall performance, being the most compatible and stable across all three interfaces. The Fujitsu E780 actually scored highest but is, of course, let down by the problem with the graphics interfering with the interfaces. The two Quad core results were a little disappointing, the W510 only just beating the dual core T510 and the Asus not competing very well. Lenovo T510 consistently good although matched by the Fujitsu E780. 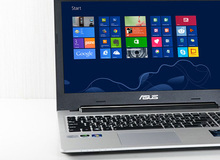 The W510 has edged ahead but neither that or the Asus giving quite the performance hoped for. Fujitsu E780 gave the best dual core result but the T510 still has the advantage of working well with all three interfaces. The W510 and Asus did this time push ahead a bit better. The similarity between the results of the Fujitsu E780 and Lenovo T510 shows that the technological differences between the two laptops has little effect on the performance. Both units have the Core i5 520M 2.4GHz processor and although the E780 has one more gigabyte of RAM it didn’t make a substantial difference. The question remains though if the E780 had a graphics solution that didn’t cause a blue screen would the performance be even better? The two Quad Core’s were not as fast as expected but then the comparison between at 2.4GHz dual core and a 1.6GHz Quad core is difficult to make assumptions about – essentially you are comparing 4.8GHz to 6.4GHz and so we should be looking at a 25% performance difference and that is actually not far from what we got. The perception of a Quad Core though would assume a much bigger increase! The Fujitsu H700 was largely untested due to the driver clash problems and so its results are inconclusive. The Asus was always lagging behind the W510 in all but one test – probably down to the lack of available BIOS editing to stabilise the CPU speed but it’s also the cheapest model on test. On performance alone the Lenovo T510 and W510 take the crown although the Fujitsu could equal the performance if the clash with the graphics drivers was sorted out. The performance differences and behavior of the audio interfaces is worthy of note. The Edirol FA66, which has the most uninspiring driver and control panel, seems to outperform the other, arguably more professional, interfaces by a fair margin. The FA66 also worked the same whether it was connected to a TI chipset card or the internal firewire port - it didn't seem to care. When plugged into the Fujitsu it was the only interface not to blue screen - instead you got crackly playback. Edirol obviously know what they're doing in terms of programming - shame they have no sense of style. At the other end the Firestudio misbehaved the most, failing to work successfully on everything except the T510. The Saffire Pro 24 sits safely between the two. I know very little about how driver architecture actually works but my assumptions are that the differences are to do with the amount of channels the interface requires - the FA66 only needs 6in/out, the Saffire 16in 8out whereas the Firestudio needs 24 in/out. Maybe the interface has negotiate the full bandwidth to accommodate all of its ins and outs when plugged into the firewire socket - further testing required I think. That said, once working the Edirol was a clear winner on performance which must be down to a combination of the technology in the box and quality of the drivers. Was that helpful? Who knows! I think it shows some of the trials and tribulations involved in choosing a laptop for music production and how performance can vary not just between laptops but also between audio interfaces. As the majority of users don’t get the chance to compare their laptop to others then it all comes down to whether it’s doing what you want it to do. If you can make music on it then it’s doing a good job. For more computer music articles and review visit PC Music Guru.